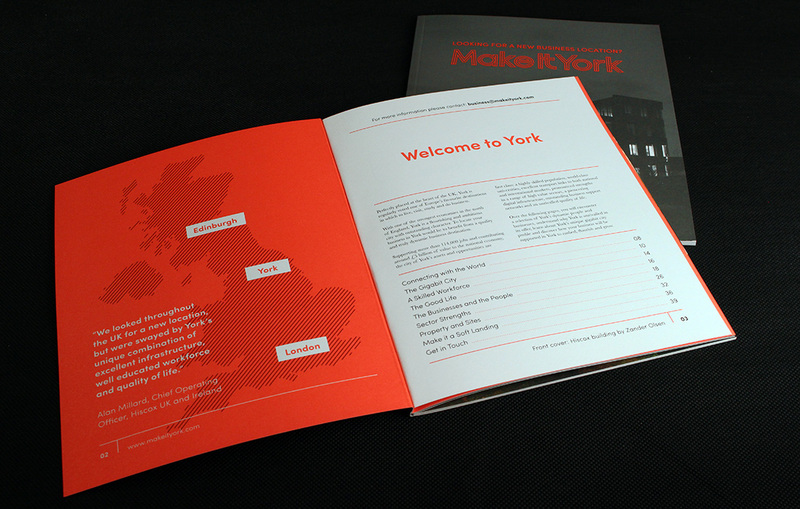 Make It York are the parent company of Visit York, York's main member organisation for local business. 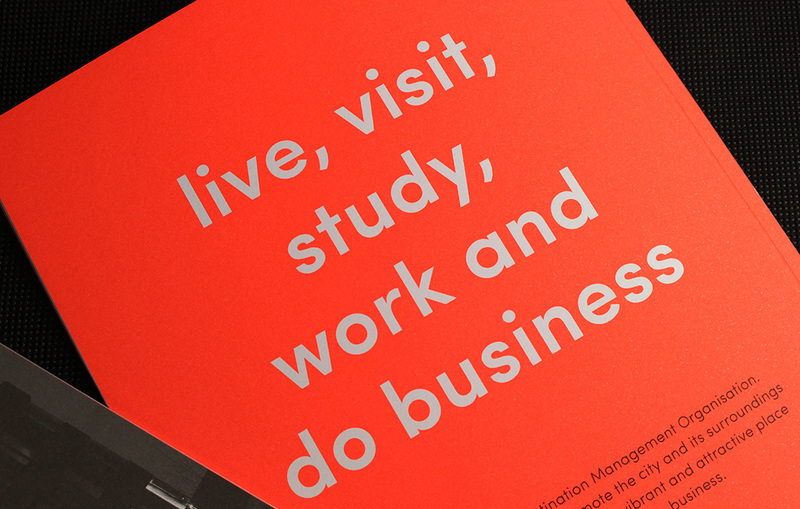 They focus on increasing York's profile in the business arena both nationally and globally. Only months after joining Your Creative Sauce were asked to quote and advise on a very important document for the Make It York team. 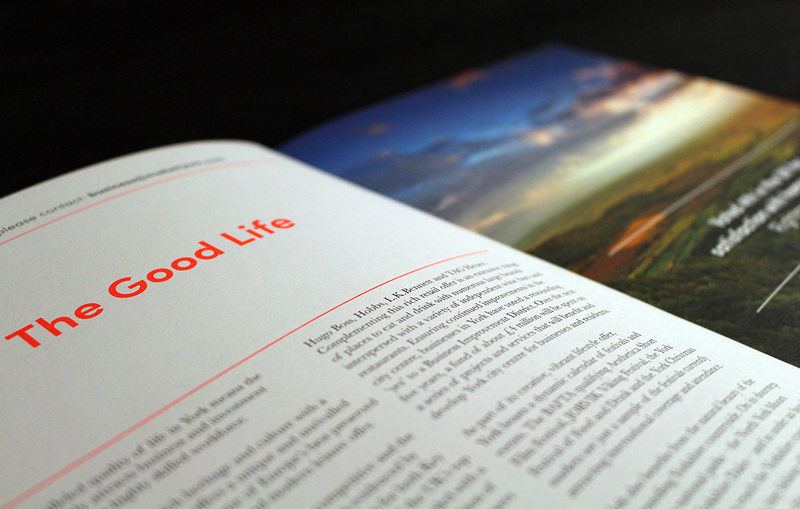 The 'Inward Investment Guide' needed to feel like a premium brochure and gain impact nationally to show that York really means business when it comes to business. After winning the initial quotation from a group of local suppliers thanks to our competitive pricing it became apparent early on that we needed to work closely with Make It York's in house design team to advise and fulfil the brief. 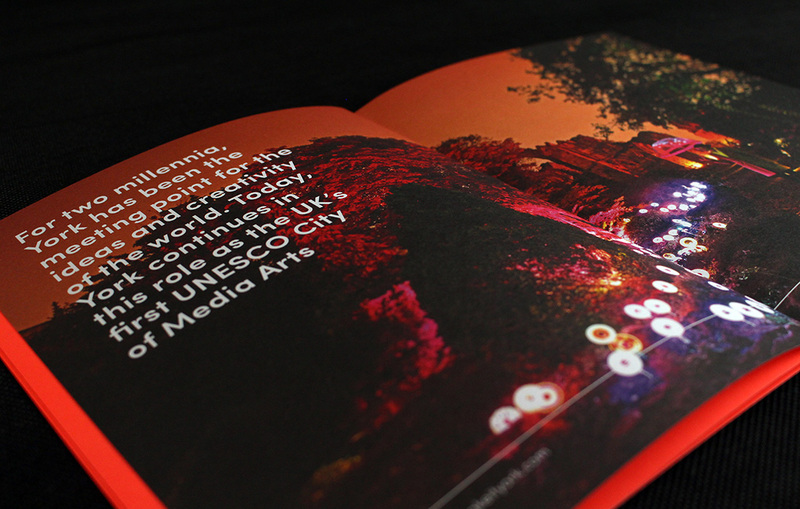 It was important the brochure looked contemporary and had high impact to attract the high-end audience it was aiming at. 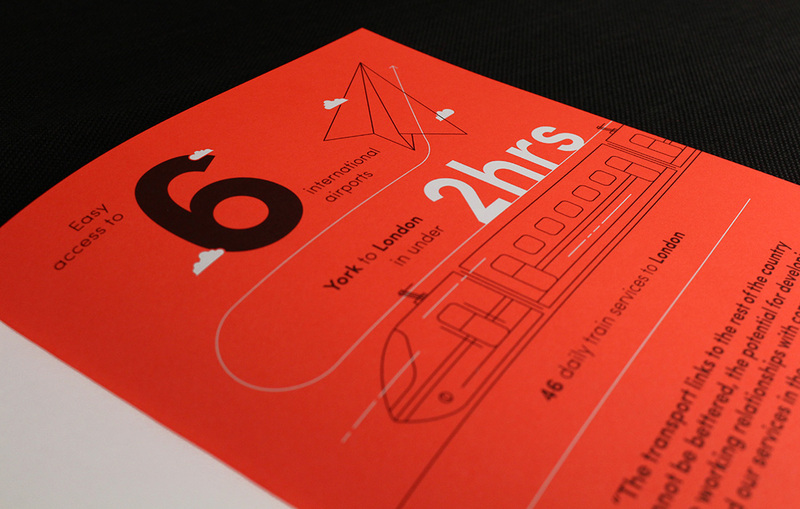 The Make It York in house design team decided to use a vibrant Pantone colour throughout to make the cover and inners really stand out. 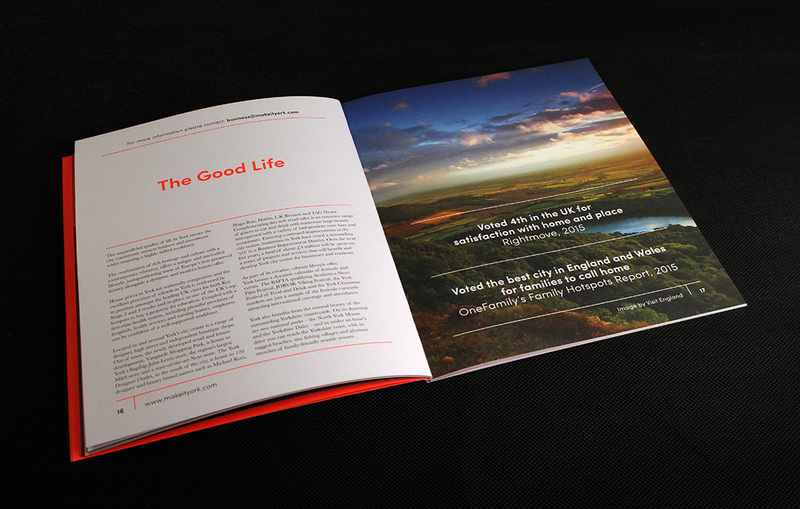 To achieve this we provided print samples and test runs to ensure Make It York were happy that the colour would look correct when reproduced on press. We also advised on paper stocks and overall colour usage to ensure that the uncoated paper would still give strong colour reproduction. Throughout the project the Your Creative Sauce Account Manager and the Creative Director were on hand to solve any problems Make It York came across and also double check the artwork would print correctly when produced. 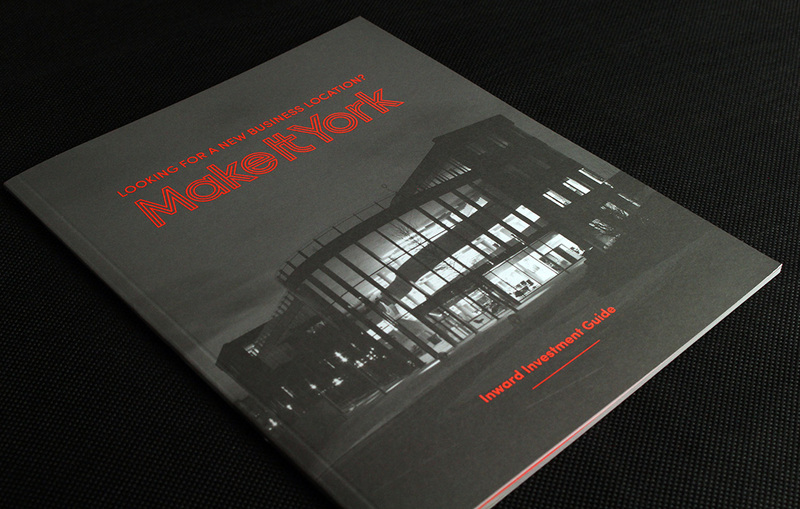 All this project management proved very successful and since delivery we have built a strong relationship with Make It York. It also proved an excellent advertisement for Your Creative Sauce's expertise in the local area.